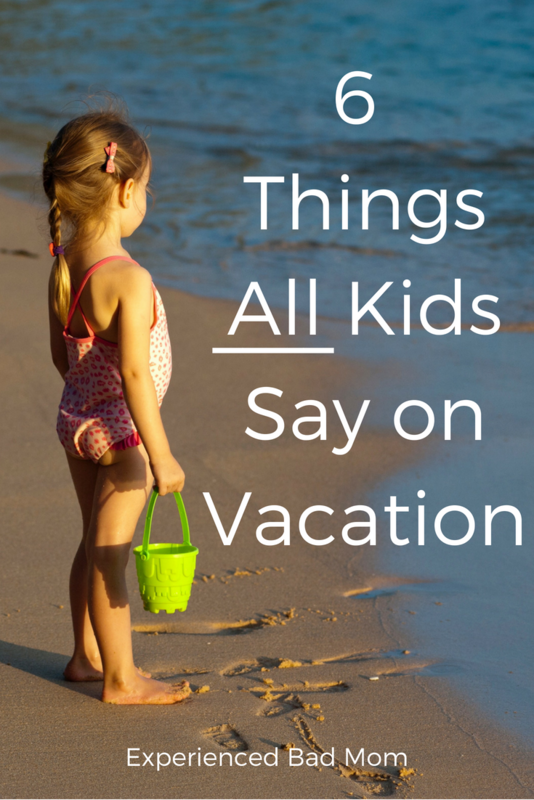 Here are six things all kids say on vacation, no matter how old they are. Yup, I don’t care if your kiddos are three or thirteen, they will say these things. My kids, now 15 and 11, have been saying these things on vacation since they were old enough to talk. And they haven’t stopped saying them as they’ve gotten older, either. This is a classic for a reason. What I love is when you are about 5 minutes into a 3 hour car ride and they pipe up with this one. 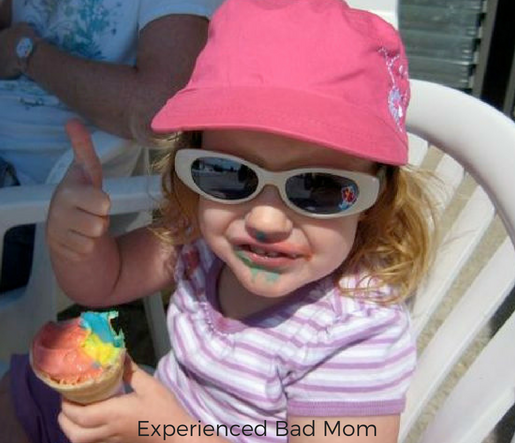 You could be at Victoria Falls, the Taj Mahal, the Grand Canyon or some other fabulous, iconic vacation spot and your kids will STILL only care about whether or not there’s a pool at the hotel or campground. Lots of bonus points to you as a parent if there is a pool AND a video game arcade. Kids want to know where they can spend money (usually more than what they brought from their allowance, of course). They are also very keen to commemorate the trip that probably just began hours ago. I still remember visiting the beautiful Yellowstone National Park and all my daughter cared about was if there was a gift shop at each stop. She was in a rock collecting phase, but that made it even more ironic. We were going to BUY rocks in a geological wonder of the world?! This question is pretty much interchangeable with “Is there a gift shop?” Kids will always want snacks. And will always want to spend your money on snacks, not the money they bought from their own stash. Don’t try and give them snacks from a cooler or snack bag you packed, either. Face it: they don’t want your granola bar, they want the snack bar’s granola bar. Even if they just went. And in spite of how many times you asked if anyone had to go to the bathroom before you left the last stop. This is a classic thing that all kids say on vacation. It doesn’t matter if you’re traveling by boat, car, or plane. If siblings spend more than 5 minutes next to each other, one of them is going to find the other one annoying. Of course, you can diffuse the situation with a visit to the pool, gift shop, or snack bar. Any other ditties I missed that all kids say on vacation? Kelly L McKenzie recently posted…What, Doesn’t Everyone Travel With Their Bunny? I’ve heard worse in the check-out lane at Wal-mart. But I think it’s expected there, not at the Happiest Place on Earth! Reading your post brought to mind exactly what Kelly mentioned: the number of incredibly un-Disney things I’ve heard parents say to their kids in line at Disney World! Yes, you have nailed this list! My kids (and now my grandkids) – forever in search of the Holy Grail. A pool WITH a snack bar! Super bonus if there is a tacky souvenir shop attached! I must confess that during the heat wave of our last family vacation even *I* was asking to go back to the pool stat! And it felt LOVELY. Yep, all are spot on!